Go to the beach? NO!! Play in the garden ? NO! Play in the park ? NO! Georgie and Alfie stay cool and explore the ancient hilltop town of Bevagna. Bevagna is a small town near to Perugia, Assisi and Spello. It reminds Georgie of a rabbit warren because it has so many tiny, narrow streets going off in all directions. 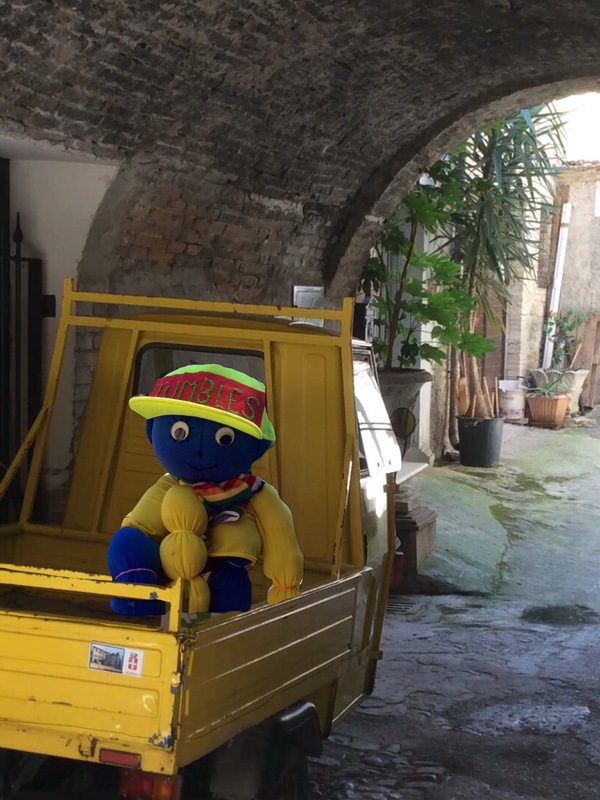 Alfie is fascinated by the giant ancient walls that encircle the town and adds to his collection of Ape vans! Explore the town with them by clicking the link below.